Who would’ve thought that the Twitter service would become so popular that even bakeries use it to inform their customers of a particular batch of pastries that was just baked? Known as BakerTweet, this unique device consists of an Arduino board and Linksys Wi-Fi adapter which comes bundled in a bakery-proof, simple-to-use box. 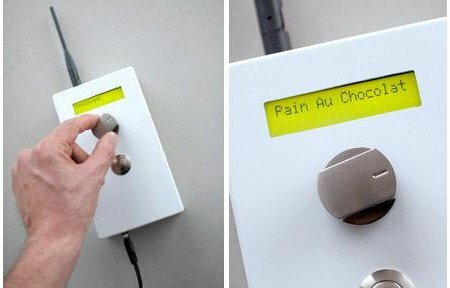 The included dial is used to scroll through a list of baked goods, while the button will send a pre-configured tweet with a Web-interface used to customize messages as well as include new products for your customers. The first BakerTweet system has been installed in the Albion Cafe in London, and it remains to be seen whether other bakeries will follow suit.